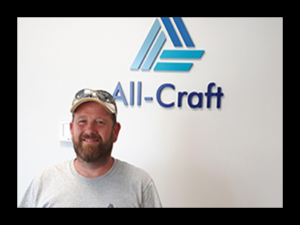 All-Craft is a locally owned and operated custom design renovation contractor, specializing in interior and exterior custom renovations. We help clients take their dreams from design to build. As a local business located in the HRM, we have one distinct advantage over the big guys – customer relationships. We keep communication open throughout the renovation process, ensuring our clients are updated and informed while we transform their living space. We know that our clients want their home renovation to be given the professional attention that it deserves, and for it to be built with integrity. 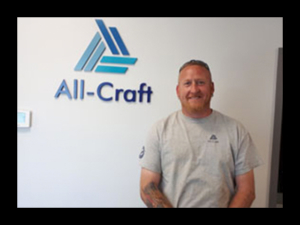 All-Craft has fostered a team with a diverse array of expertise, bringing the experience needed to handle a remodel of any size. We value working with our clients as partners; listening to their desires and keeping communication open allows us to bring their vision to reality. Whether it’s a small addition, custom bathroom, or a whole house renovation, our experience has helped us develop the innovative ideas and implementation techniques to make your renovation come to life. 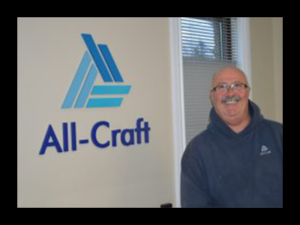 Through customer relationships and unparalleled craftsmanship, All-Craft will be the custom renovation professional of choice in the greater Halifax area. We will provide our customers with unique design, flawless execution, and superior customer service. We will continue to innovate and educate ourselves so that we can provide our customers with the best possible products and designs for their individual needs. Attention to detail – We get the details straight by providing a checklist for every important factor in the remodel before the project starts. Integrity and customer service – We bring a high caliber of integrity and customer service by being easily accessible and always keeping the client informed. Highest quality craftsmanship – We eliminate any unnecessary renovation delays, we ensure that only the highest quality of craftsmanship is used, and we maintain a clean job site. There are three elements we consistently strive to provide for our customers: sincere customer service, professional operations, and superior products. Our business maintains certain criteria to ensure we continually meet these standards. We firmly believe sincere customer service is a critical element of any successful business. That’s why we are owner operated and always accessible for communication with our current, past, and potential clients. Our experience has educated us to develop efficient and effective methods of operation. We acquire, and pass, all required building permits. We are able to accurately expedite the delivery of materials and mandate our crew’s timeliness on a daily basis. Our job sites are organized, and a thorough final walk through is done on each project by an owner of the company. Furthermore, all operation procedures are clearly relayed to our clients. Throughout our building process, we maintain the highest quality standards and control every detail of craftsmanship. We specialize in customer satisfaction in high-class custom remodels. Our high caliber of craftsmanship, integrity, business ethics, job site cleanliness, and team concept has earned All-Craft multiple awards over the years including Canadian Home Builders’ Association Renovator of the Year in 2017. 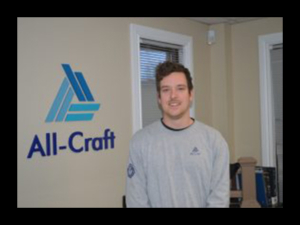 Justin Johnston graduated from STFX University in 2008 with a degree in business and a major in accounting. After obtaining his Chartered Accountancy, he decided to make a shift in his career and stepped into the construction world – something he had been passionate about his whole life! 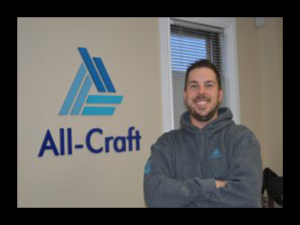 Justin brings over 5 years of project management experience to the All-Craft team. He has experience in both exterior and interior renovations, as well as new home construction. 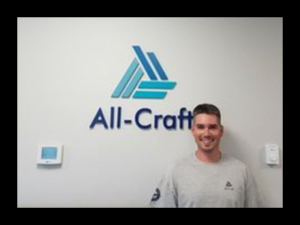 He takes pride in being innovative and staying current with building codes and new building products. His ultimate goal is to make the renovation project as seamless and stress free as possible for every homeowner. 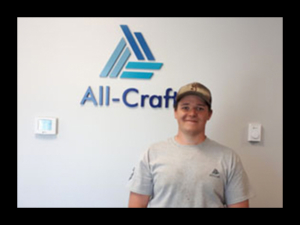 Brian had his first taste of the home construction/home renovation industry at a very early age, both renovating to sell and building to live in. 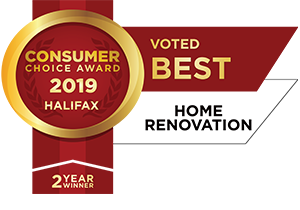 After spending 20 years working with a large international firm with the majority of his time spent in the customer service aspect of his employer’s business, Brian made the decision it was time to direct the years of customer service into the residential renovation industry in the greater Halifax area. The combination of many years of experience working with people and the understanding of the importance of providing a high level of service is the focal point Brian applies to the everyday business in dealing with the average person’s most prized possession – their home. 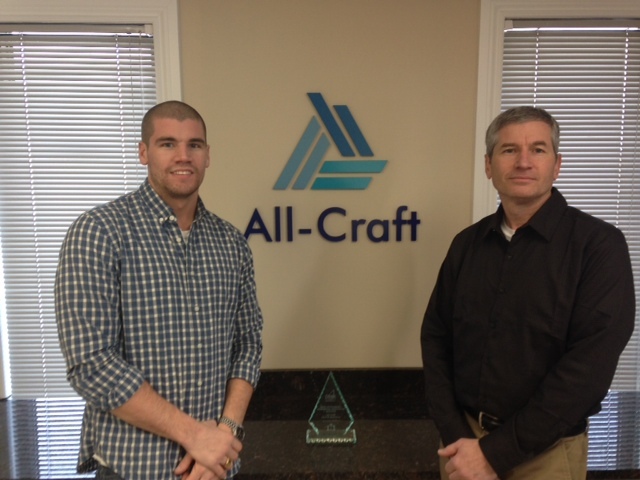 All-Craft is a unique family. We work together to bring interior and exterior renovation dreams to reality. 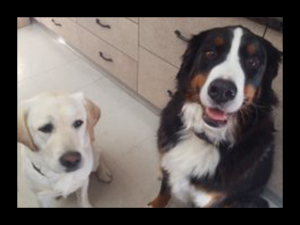 We believe in a high standard of customer satisfaction and quality service. We also understand that your dream renovation is one of the largest investments you will make in a lifetime and together we strive to make it stress free and exciting.